Autumn has finally started to behave as she should! I even felt invigorated by crisp mornings and cooler temperatures (briefly) last week. In fact, it seems as if we've jumped straight into Winter. This makes it Soup Weather. 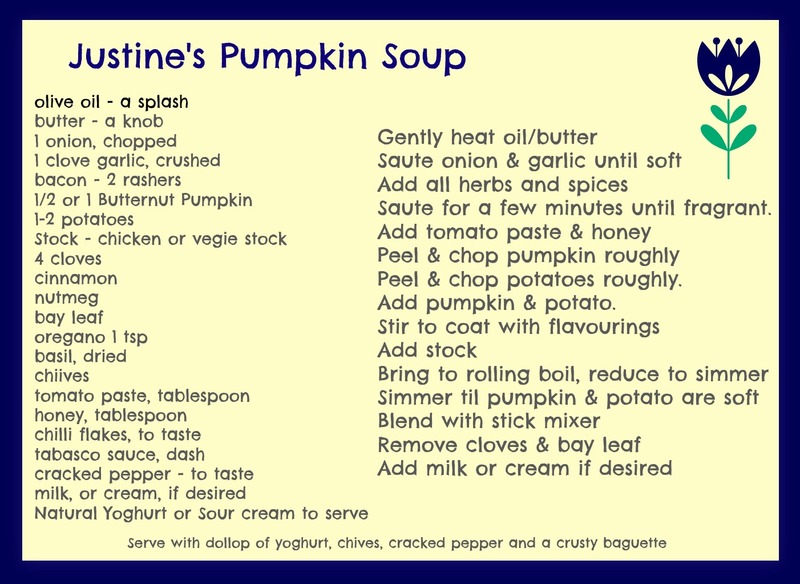 Several years ago (not admitting just how many), I had a Pumpkin Soup Obsession. Any time I was at a cafe for lunch I would have Pumpkin Soup. I managed to test all of the soups in my small country town, and figured out which one was the best. (There was also a Lasagne Obsession, but we won't go into that right now.) 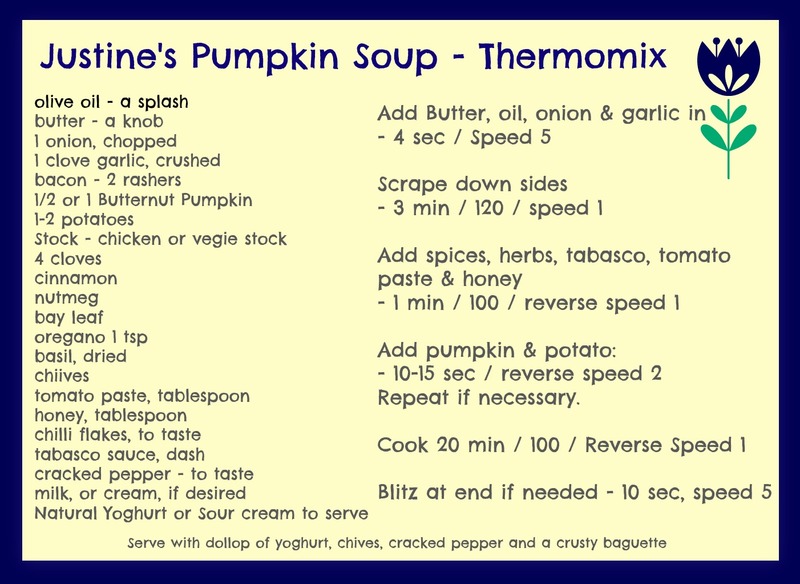 My obsession gradually evolved into an obsession with finding the Perfect Pumpkin Soup recipe. I didn't manage to find The Perfect Pumpkin Soup in all the places I was looking, so I developed my own over the years. You need to appreciate the huge sacrifices I made in the research for this Obsession. And now I'm going to share it with you! 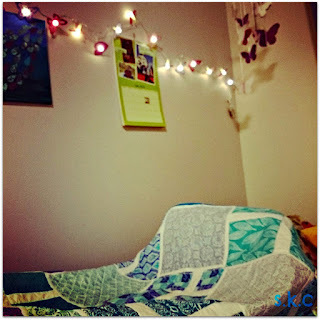 I'm definitely no creative Recipe Developer - I read other people's blogs in awe, as they seem to effortlessly conjure up myriads of creative ideas to throw together each day. That is not me. 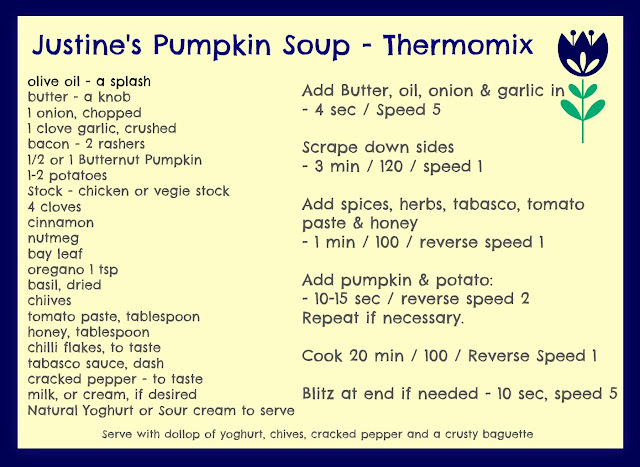 But I love my Perfect Pumpkin Soup recipe, and over the years I've had good feedback from flatmates and husband that it's yummy. So now I'm going to share it with you. 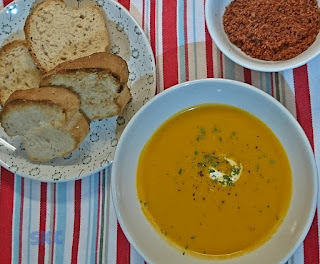 If you too are being lured by the siren call of Autumn Pumpkins and need more ideas than just my humble Perfect Pumpkin Soup recipe, you should definitely check out The Five Beans blog about ah-maz-ing Pumpkin Recipes. Elissa is definitely a creative Recipe Developer! I'll be buying more pumpkins so I can try some of her recipes out. Not sure about the Pumpkin Beer though! I have tried this recipe in the Thermomix, which will work if you need it to, but in my opinion, I honestly think it tastes better the old-fashioned way. 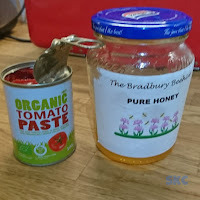 I think it gives the flavours time to develop properly; allows for caramelisation at the beginning of the recipe; and I've often thought that the wooden spoon you use should really be listed in your ingredients - surely there is a piquancy added from the spoon being used, especially when it sits in the pot for a while ;). TMX instructions are at the bottom. Thermomix-ing it. But it's better the old-fashioned way. We just had no cooktop at the time. 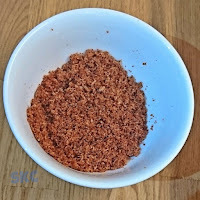 chilli flakes, to taste - the idea of these is to give a little warming heat, so I usually just add a light shake, but if you loooove chilli, go for your life! 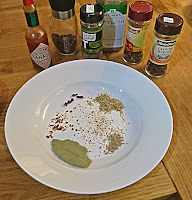 Add the herbs and spices, including Bay leaf and cloves. Allow them to saute for a few minutes until they become fragrant. 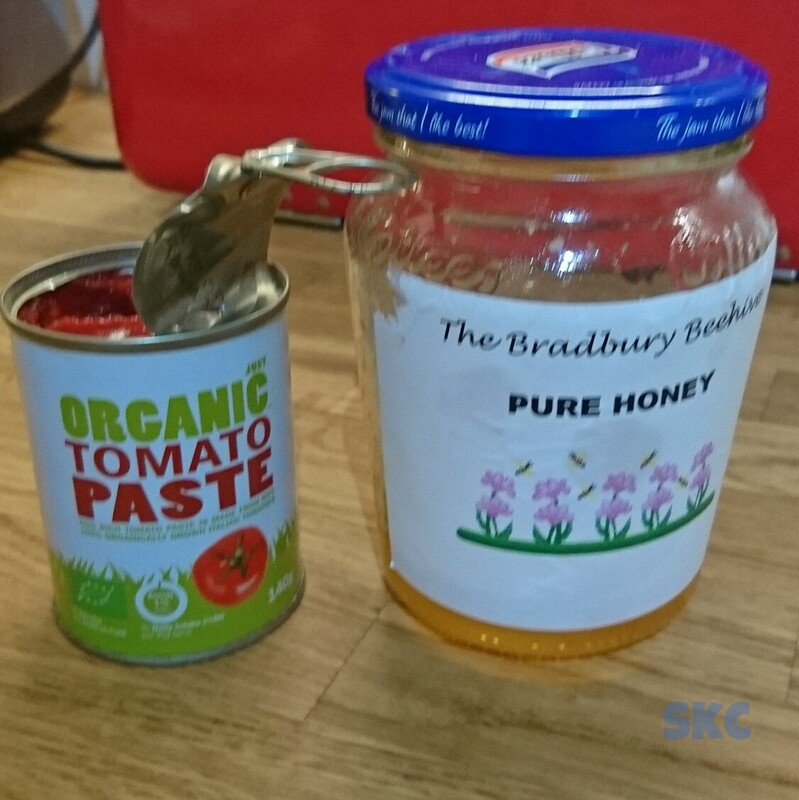 Add the tomato paste and the honey. Allow these to warm through and become a little runny. 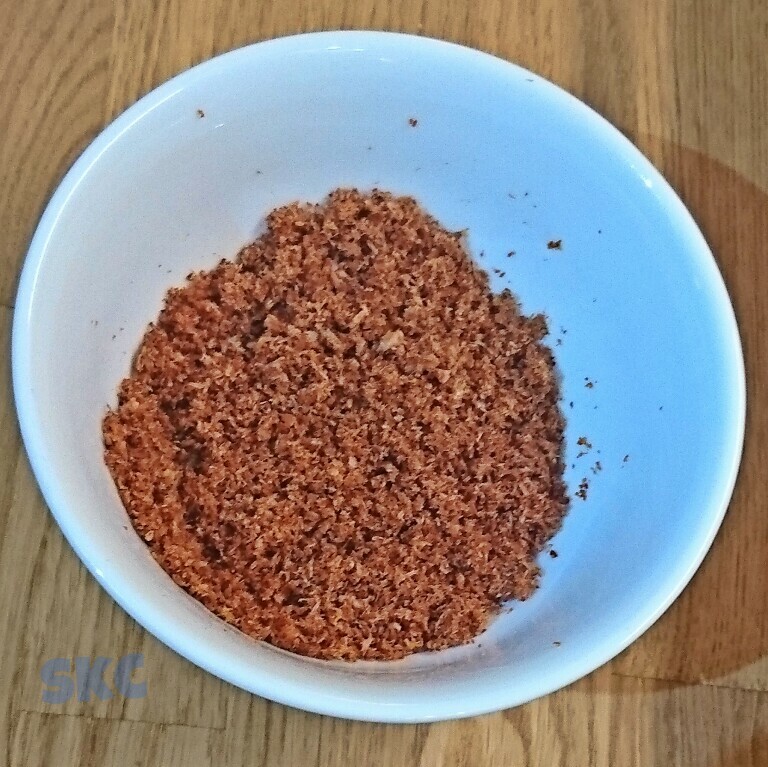 Stir the pumpkin & potato, thoroughly through the spice mixture with a wooden spoon so they become coated in all that yummy goodness. Then add the stock. I used to always use chicken stock, but now tend to use the Tmx Vegetable Stock we have in the fridge. It's quite yummy! I judge the amount of stock by how much is required to barely cover the Pumpkin. Follow the package directions for stock : water ratio if you are using a powdered stock. If you are in a hurry, have the water pre-boiled in the kettle. I keep the lid sitting on the pot, but slightly offset so that some steam can escape, without losing too much liquid. 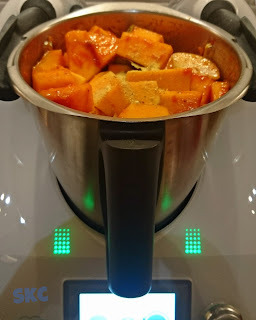 Allow to simmer until the pumpkin & potato are soft. This is your minimum cooking time - it can be as quick as 15 minutes, especially if you pre-boil the water. I find that the soup improves if you have time to simmer it for longer. A good 30 minutes is definitely worth it! 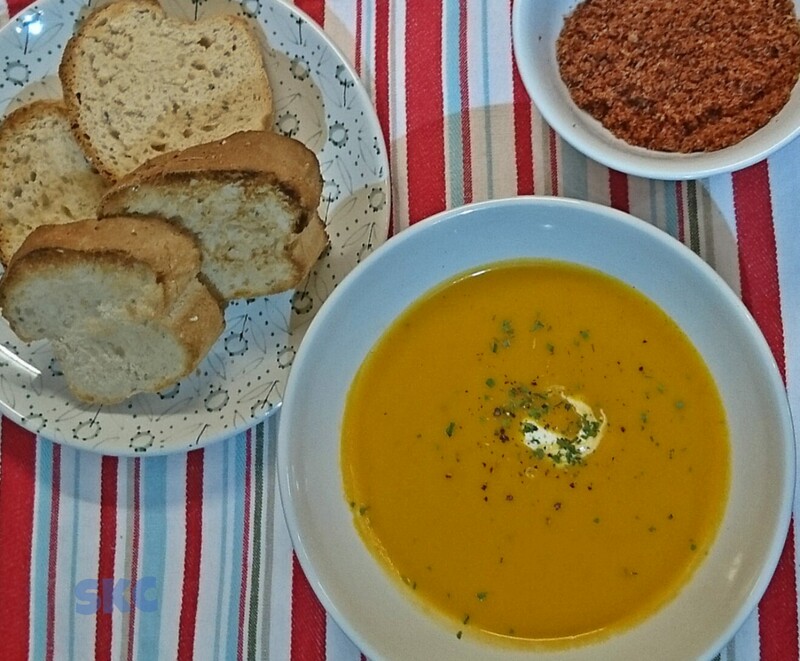 When the soup is cooked through, allow to cool a little (if you have time) before blending (carefully!) with a stick mixer. Once you start the blending process, you will be able to spot your cloves and bay leaf and remove these so there are no nasty surprises for anyone! If you'd like to add a little milk, do so at this point, and gently bring back up to heat - don't add too much or you will dilute the flavour. I used to always add milk to this, to make it creamier (or even cream if I had some on hand) but I find it really doesn't need it. 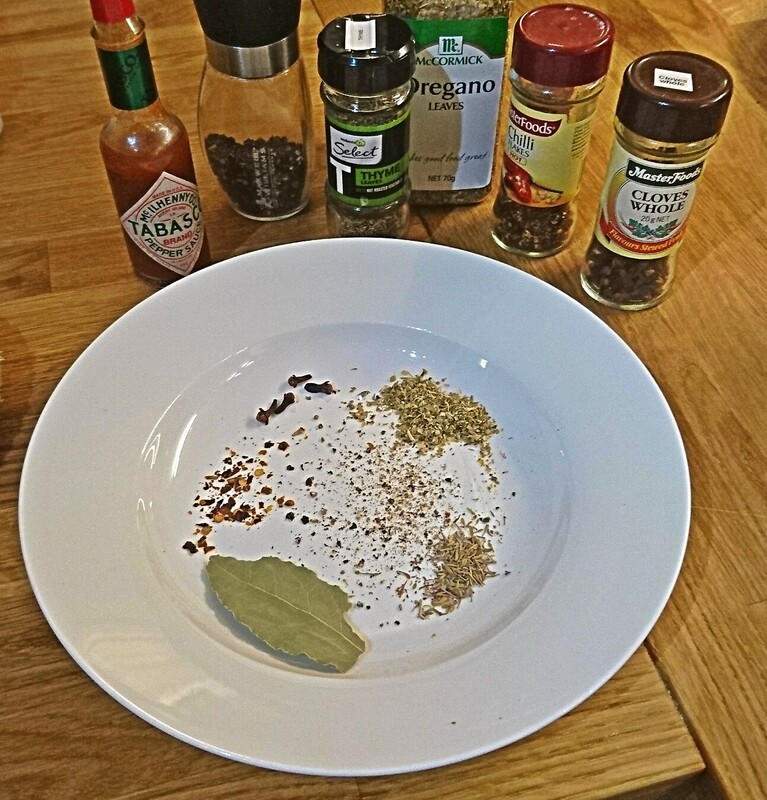 I've done this in a slow cooker too, in which I am able to brown my ingredients before starting the slow cooker phase. It works quite well, although I prefer the stove top version. Bacon crumb. Because I forgot to put the bacon in at the start. Cook bacon in the oven, allow to cool, blitz in your food processor. To serve, it's delicious with a dollop of Greek Yoghurt, and a sprinkling of chives (if you have some). Add some crusty bread and butter, and Voila. Check to see if pumpkin is coated with flavourings. Repeat if necessary.